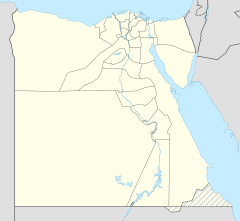 Lower Egypt (Arabic: مصر السفلى‎ Miṣr as-Suflā) is the northernmost region of Egypt: the fertile Nile Delta, between Upper Egypt and the Mediterranean Sea — from El Aiyat, south of modern-day Cairo, and Dahshur. Historically, the Nile River split into seven branches of the delta in Lower Egypt. Lower Egypt was divided into nomes and began to advance as a civilization after 3600 BC. Today, it contains two channels major that flow through the delta of the Nile River. In ancient times, Pliny the Elder, in Natural History (Book 5, chapter 11), said that upon reaching the delta the Nile split into seven branches (from east to west): the Pelusiac, the Tanitic, the Mendesian, the Phatnitic, the Sebennytic, the Bolbitine, and the Canopic. Today there are two principal channels that the Nile takes through the river's delta: one in the west at Rashid and one in the east at Damietta. The delta region is well watered, crisscrossed by channels and canals. The climate in Lower Egypt is milder than that of Upper Egypt owing primarily to its proximity to the Mediterranean Sea. Temperatures are less extreme and rainfall is more abundant. Lower Egypt was known as Ta-Mehu which means "land of papyrus." It was divided into twenty districts called nomes, the first of which was at el-Lisht. Because Lower Egypt was mostly undeveloped scrubland, undeveloped for human life and filled with all types of plant life such as grasses and herbs, the organization of the nomes underwent several changes. The capital of Lower Egypt was Memphis. Its patron Goddess was the cobra goddess Wadjet. Lower Egypt was represented by the Low Red Crown Deshret, and its symbols were the papyrus and the bee. By about 3600 BC, neolithic Egyptian societies along the Nile River had based their culture on the raising of crops and the domestication of animals. Shortly after 3600 BC Egyptian society began to grow and advance rapidly toward refined civilization. A new and distinctive pottery, which was related to the pottery in the Southern Levant, appeared during this time. Extensive use of copper became common during this time. The Mesopotamian process of sun-dried bricks, and architectural building principles—including the use of the arch and recessed walls for decorative effect—became popular during this time. Concurrent with these cultural advances, a process of unification of the societies and towns of the upper Nile River, or Upper Egypt, occurred. At the same time the societies of the Nile Delta, or Lower Egypt also underwent a unification process. Warfare between Upper and Lower Egypt occurred often. During his reign in Upper Egypt, King Narmer defeated his enemies on the Delta and merged both the Kingdom of Upper and Lower Egypt under his single rule. Wikimedia Commons has media related to Lower Egypt. In contrast the following kings are attested through archeological finds from Sinai and Lower Egypt: Double Falcon, Crocodile. ^ a b c d e f Carl Roebuck, The World of Ancient Times (Charles Scribner's Sons: New York, 1966) p. 52-53. ^ Carl Roebuck, The World of Ancient Times (Charles Scribner's Sons Publishing: New York, 1966) p. 51. ^ Carl Roebuck, The World of Ancient Times (Charles Scribner's Sons Publishers: New York, 1966), p. 53.